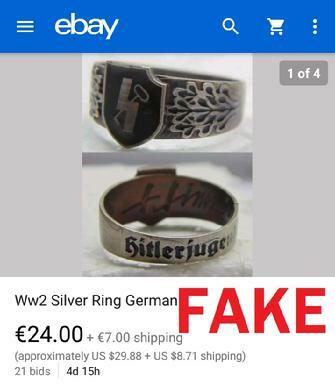 First I want to clarify something, no one is implying that ebay itself is a "scam" site, promotes or intentionally allows scam artist to flourish on its site. As with any site open to the general public, especially internationally, scam artists will flourish. 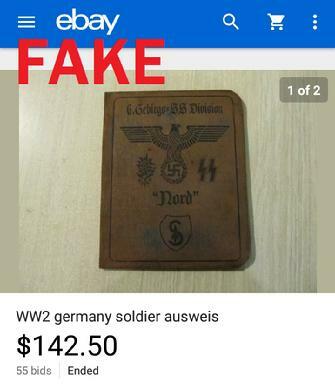 After posting these fakes for three months on a daily basis, the volume of fakes on eBay has been greatly reduced, for now at least. Some of the vendors are no longer on the site. 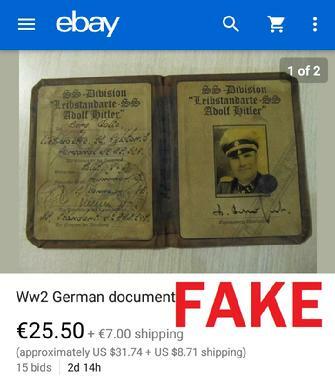 Having said that, one of the most abused areas of the site is WW2 German memorabilia, and it is absurdly abused. 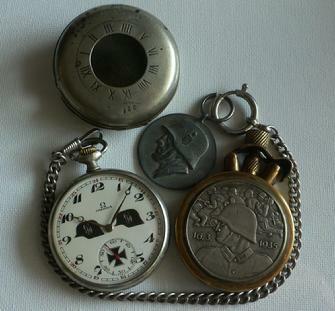 You will see things for sale from Latvia, Poland, Lithuania, Russia, etc. that simply never existed in WW2. 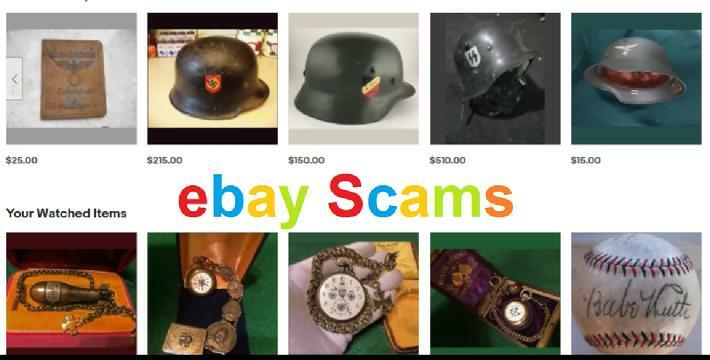 Tons of SS Goblets, rings, cigarette cases, watches, and anything else you can think of for sale on ebay 24 hours a day, seven days a week. 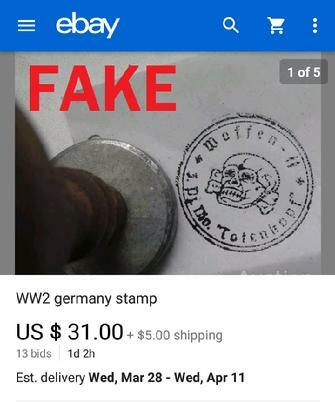 Many of these East European vendors have numerous accounts and names, often using various countries and US States as their supposed location. Don't be fooled, what you're seeing is organized crime.